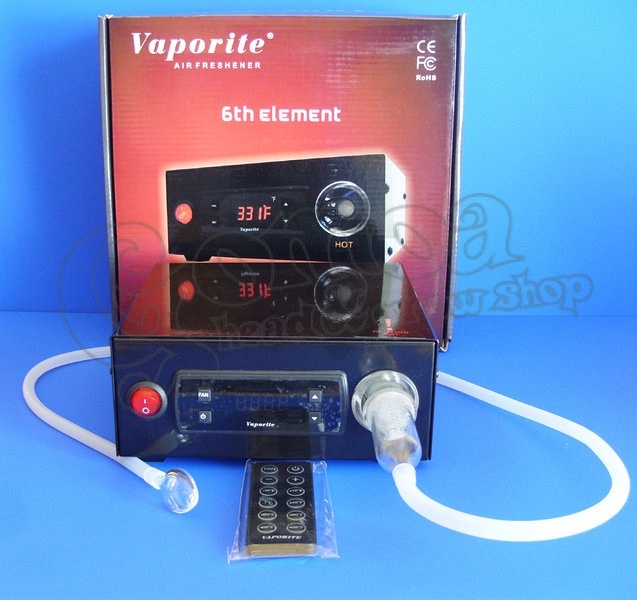 The Vaporite 6th Element Vaporizer is a forced air vaporizer built for long lasting use due to its construction. Made of high quality steel and finished with high gloss paint, you can enjoy the Vaporite 6th Element Digital Vaporizer for many years. The advantage of forced air vaporizers over other vaporizers is that it takes less effort to use. Two fans at the back of the unit blow the vaporized material out of you. You don’t have to use your own breath to take in the vaporized material. 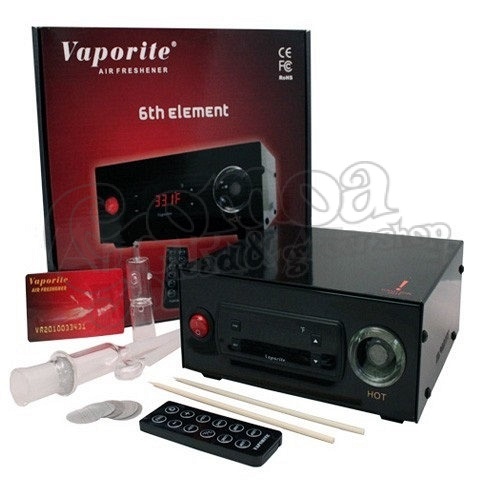 This especially makes the Vaporite 6th Element Digital Vaporizer ideal for aromatherapy. The temperature in this vaporizer can be adjusted to vaporize almost any herb. You can monitor the temperature through the digital display which shows accurate temperature in Fahrenheit. The ceramic heating element maximizes the flavor of your herbs and prevents any loss of taste or contamination which can occur in other vaporizers. The ergonomic whip, which can easily change the screen if necessary, is more superior than that of other vaporizers. Oil vaporization is also possible with the included oil diffuser. This product is best for customers who want a vaporizer with more advanced features but is still easy enough to use. With the Vaporite 6th Element Vaporizer, there is no need to assemble parts. Just plug, switch on, adjust the temperature and enjoy!